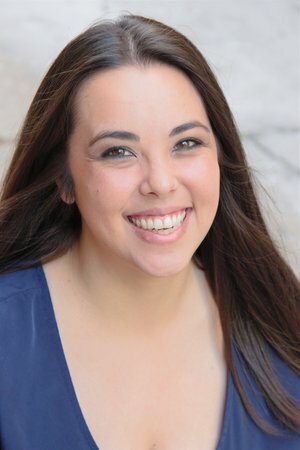 Nevermore Actor Profile: Maiko Terazawa! Where were you born/where were you raised: I was born in Tokyo, Japan, but moved to Fort Lauderdale, Florida when I was 6 years old. What are/were the careers of your parents? My mother is a realtor in South Florida. Why did you want to be a part of Nevermore? How can you not be drawn to this magical, musical world of Poe? Current or recent show in Chicago (other than Nevermore) that you think is must-see: A must see was Circle Theatre's "Triassic Parq". It closed a couple months ago but it was such a fun show to watch and the cast was absolutely phenomenal. Most played song in your music collection: Most played song right now is probably "I'm Breaking Down" from Falsettos. Favorite or most memorable onstage role as a child/teenager: My favorite role when I was younger was playing The Witch in "Into the Woods" my junior year of high school. Worst job you ever had: I will never again work in a doctors office. I've worked admin jobs for a couple different doctors offices, and it is just the worst! Role(s) you’ve been dying to play: Some roles I would love to play are: Mother (Ragtime), Diana (Next to Normal), Bea (Something Rotten! ), Lucy (Jekyll & Hyde), Amneris (Aida), and Maureen (Rent). What were you afraid of as a child? Chucky from the "Child's Play" movies. My dad had us watch the movie when we were probably about 4 years old. After seeing the movie, he thought it would be funny to buy the Chucky doll with suction cups on the hands and feet and then stuck it to the sliding glass door outside of me & my sister's bedroom so it looked like Chucky was about to attack us! My mother eventually had to burn the doll in front of us.